Next Saturday, October 14 marks our second-ever Mamas Market — and we couldn't me more excited. (Check out out photos of our first event to see what's in store.) 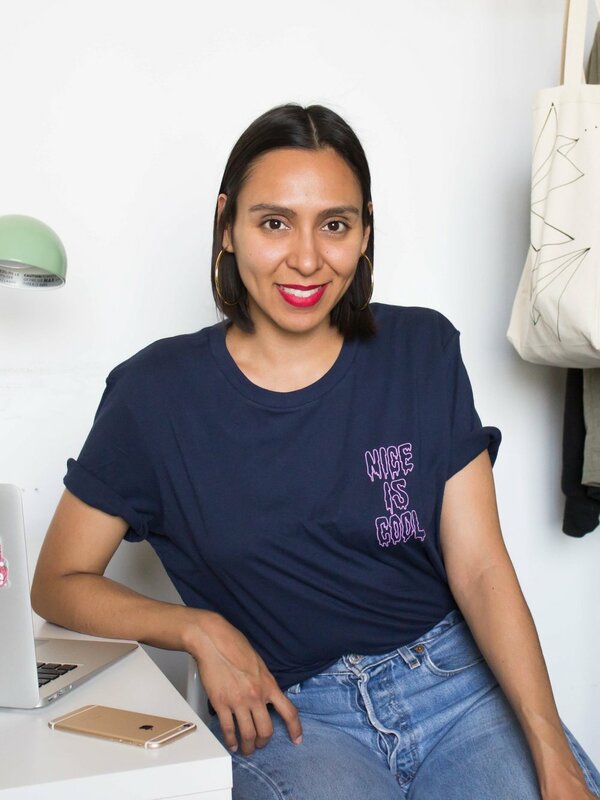 Happening from 10am to 4pm at Platform in Culver City, the holiday bazaar will be hosted by Fashion Mamas founder Natalie Alcala, designer TyLynn Nguyen, and stylist (and mom-to-be!) Djuna Bel and will highlight over 25 mother-owned brands. Read on below to get to know the mama behind each brand, and we'll see you next weekend! Capture the essence of your brand in one sentence: "Discover global. Support local." — A curated online pop-up featuring a new neighborhood and local talent each season. What is your favorite product in your collection right now? I'm obsessed with everything so I can't pick one favorite, but the Iris Circus Jumper by Ultra Violet Kids is pretty special. What is your favorite product in your collection right now? The new Large Colonia in Black Python with rose gold interior. Capture the essence of your brand in one sentence: Empowering women to live a life of style. What is your favorite product in your collection right now? The Fall edition's exclusive clutch, which I co-designed with Gigi New York. Capture the essence of your brand in one sentence: The best in design for every style. What is your favorite product in your collection right now? Linen Bedding from Hawkins New York. 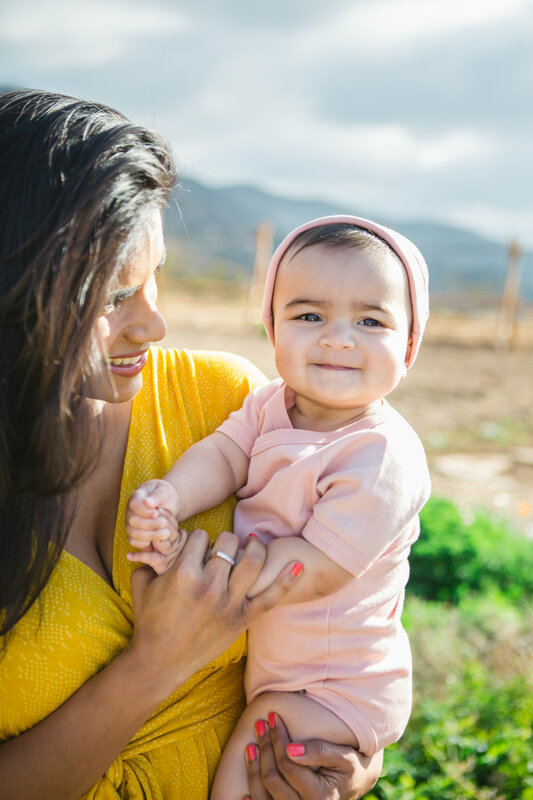 Capture the essence of your brand in one sentence: BURU focuses on wearable, washable fashion with easy access to breastfeed — we are elevated mom style! Capture the essence of your brand in one sentence: Minimalist chic thoughtful clothing based on form, function and the ease of wear completely ethically made in Los Angeles. What is your favorite product in your collection right now? The Lange Cardigan in Reverse Fleece. Child's Name & Age: Teddy (3) and baby due this November! Capture the essence of your brand in one sentence: Countertop products use the functional power of herbs and spices to add a massive wallop of flavor and nutritive impact to everything you cook. We love helping you make the food you already love into food your body will love you for. What is your favorite product in your collection right now? Golden Butter, it's our Butter with Benefits and makes everything you cook delicious and functionally healthy- great for digestion, anti inflammatory and immune boosting! Capture the essence of your brand in one sentence: We're the brand for people who vibe on meaningful human connection. What is your favorite product in your collection right now? Right now my favorite product is our Paper Airplane dad hat. The hat was a part of a small collection we did centered around a simple paper airplane icon. Our brand is all about human connection and the Paper Airplane is a nostalgic symbol of communication and connection. We'll be bringing some of these hats to Mama's Market! Capture the essence of your brand in one sentence: Fred and Far is a Self Love Movement powered by the Self Love Pinky Ring, a symbol of a woman's commitment to honor, choose and remember herself daily. What is your favorite product in your collection right now? My favorite product is the Black Spinel Self Love Pinky Ring in Rose Gold (because, rose gold, and all black everything). Black Spinel is a healing, protective and grounding stone that transforms you physically and emotionally. Capture the essence of your brand in one sentence: Elevated, timeless and slightly unconventional footwear that eases into your everyday. What is your favorite product in your collection right now? The Lane slip on loafer with brass bullring. It is so effortless, but cool. Capture the essence of your brand in one sentence: California-inspired home goods that blend elegance and ease. What is your favorite product in your collection right now? The Amalfi napkins. Capture the essence of your brand in one sentence: Kateson creates close-to-nature baby gift sets, crafted by hand-dyeing organic cotton with Ayurvedic herbs (turmeric, holy basil, indigo etc) and drawing on the expertise of organic farmers, artisans and cooperatives in India. What is your favorite product in your collection right now? Our side tie onesie hand-dyed in holy basil. Holy basil is one of the most sacred plants in India for good reason — it is prized for its healing properties! The dye shows up as an olive green hue, reminiscent of the plants that nourish and feed us. Capture the essence of your brand in one sentence: The love of letterpress and the art of the handwritten note. What is your favorite product in your collection right now? My favorite product is a solid brass letter opener with a black silk tassel, designed by me and manufactured by my father. It's a really special piece and beautifully crafted; it also follows along with the quality of our entire collection — all materials are locally sourced. Capture the essence of your brand in one sentence: Sleepwear for the modern woman — Lunya is the reason why you'd move your sleepwear to top drawer status. What is your favorite product in your collection right now? That's like trying to choose a favorite kid! So hard! Ok, so the Washable Silk Set. Capture the essence of your brand in one sentence: The coolest handcrafted ceramics made for the stylish misfit. What is your favorite product in your collection right now? The Wake & Bake Set. Seriously, you need at least one of those things daily when you're a working mama. Capture the essence of your brand in one sentence: Mien offers chic, high quality, and comfortable Mommy & Me clothes using the best natural fabrics. What is your favorite product in your collection right now? The Lakeside Wide Leg Jumpsuit and the coordinating kid's Mini Field Trip Jumpsuit are my favorites in the collection right now. 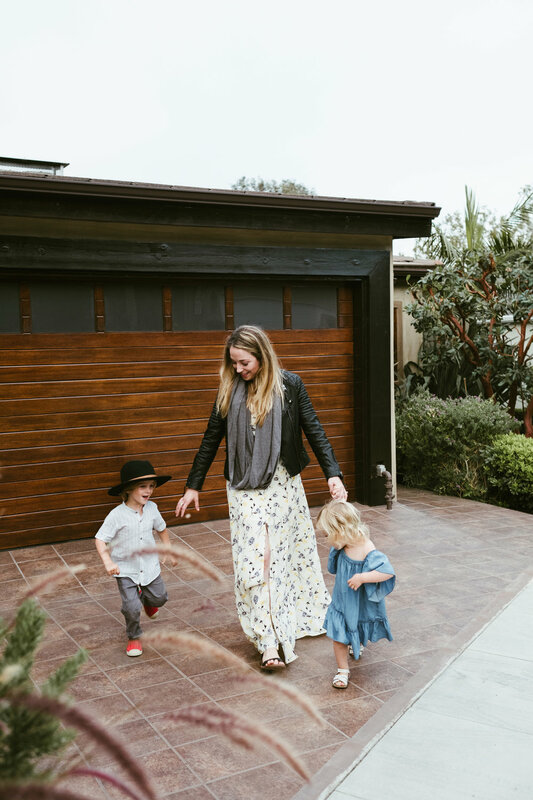 I designed the Jumpsuits with busy mamas like us in mind — they are chic, comfortable, made of organic cotton, and versatile for dressing up or down. Capture the essence of your brand in one sentence: Creating products that are as modern and versatile as the women using them. What is your favorite product in your collection right now? Our Nest®! A multi-use nursing scarf, car seat cover, and cart cover all in one with a built-in pocket to keep track of a busy mom's essentials. Capture the essence of your brand in one sentence: Honest gifting through thoughtful items that borrow elements of nature and hold a story of culture and craft. What is your favorite product in your collection right now? All of the incredible found items sourced from the International Folk Art Fair, each item is beyond special in many ways but mostly their uniqueness, no two items are the same as everything is made by hand from natural materials using generations old techniques by true makers. Not to mention I was able to meet these makers and learn a little something about their process and their culture. Capture the essence of your brand in one sentence: Our Sacred Women is a movement to restore women to a place of reverence through specialty gifts that help women feel seen and honored. What is your favorite product in your collection right now? Our special collaboration market bag with Apolis — the trailblazing socially conscious men's brand - that features our signature phrase: women are sacred. Capture the essence of your brand in one sentence: Textiles crafted by artisan weavers in Oaxaca, Mexico to enjoy the outdoors and decorate your home. What is your favorite product in your collection right now? Grey and White Grain Stripe Blanket which I've been using to protect my white couches. What is your favorite product in your collection right now? Our superfood honeys. I eat them by the spoonful and drizzle them on everything for myself + my kiddos. Capture the essence of your brand in one sentence: Simple, classic and timeless jewelry pieces for your everyday. What is your favorite product in your collection right now? I have so many favorites but one of my favorite is the Diamond initial necklace because you’re able to wear any loved ones initial who hold near and dear to your heart, whether that is your child, your significant other, or even your own. My other favorite will be the Mama & Mini collection that will be launching next month! Capture the essence of your brand in one sentence: Our skincare is made for the modern woman on the go: multi-functional, travel friendly, and most importantly effective and thoughtful formulations. What is your favorite product in your collection right now? Skinesque's Enzyme Washing Powder. I use our enzyme washing powder every single day, morning and evening — and so does my husband! Its star ingredient, papain, which are papaya enzymes, naturally removes impurities while pH balancing skin for that extra radiant glow and smooth texture. This product's unique ultra-fine, non-clumping powder base is extremely gentle and perfect for sensitive skin as well! And because of its travel-friendly container and powder texture, it is very TSA-friendly, making it my regular skincare companion. Capture the essence of your brand in one sentence: It's like a California dream every time you cozy up. What is your favorite product in your collection right now? The Sedona is our newest and my favorite at the moment. It makes me feel like heading to Joshua Tree every time I see it! Capture the essence of your brand in one sentence: A non-toxic elevated nail salon experience that allows you to breathe easy, be pampered safely, and relax your mind. What is your favorite product in your collection right now? The Rose Cuticle Oil. Capture the essence of your brand in one sentence: TyLynn Nguyen is classic lingerie and ready to wear meant for the multifaceted woman of now. What is your favorite product in your collection right now? The nectar dress.